What's holding back an interest rate hike? The Federal Reserve has decided not to raise its key interest rate. The U.S. central bank made the announcement Wednesday at the end of its two-day meeting. It's a decision almost everyone expected, but it also means the Fed is now running out of time for a rate hike in 2015. The Fed cited the recent weakness in the U.S. economy in its statement. "The pace of job gains slowed," the Fed said. "Net exports have been soft." The Fed also said it is "monitoring" the global economic slowdown -- toned down language compared to its September statement. Six weeks ago, the Fed said the global slowdown "may restrain," the U.S. economy. The Fed now has only one more meeting left this year, in December, to raise the rate. In its statement, the Fed seemed to indicate that a rate hike remains a possibility at its next meeting in December. The Fed is "keeping its options open," said Michael Arone, chief investment strategist at State Street Global Advisors. Chances of a rate hike this year were starting to dim after shaky economic data more recently. Inflation remains flat, the September jobs report was disappointing and there were signs that manufacturing is getting hurt by the strong U.S. dollar. "The economy conditions have deteriorated since they last met," said Sharon Stark, a fixed income strategist, D.A. Davidson. 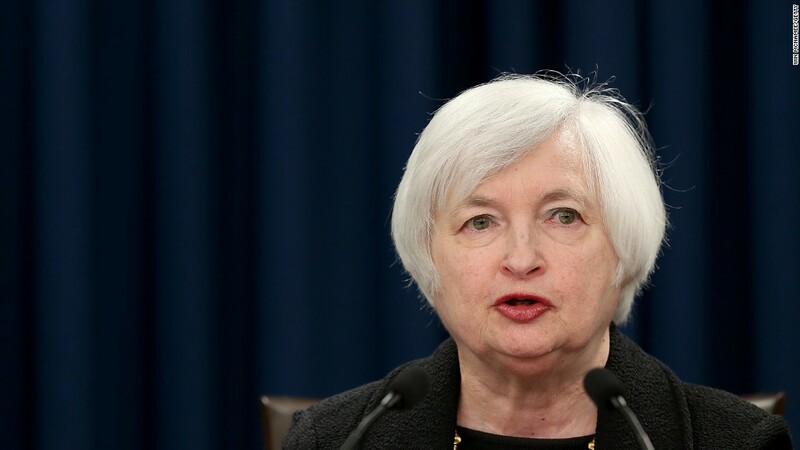 She believes the Fed won't raise rates until at least March 2016 and perhaps later. A Fed rate hike would be a big deal for the economy -- it's the central banks' way of saying that the economy is nearing full health. It would be the first rate hike since 2006 and a sign of how much the economy has improved since the Great Recession. The Fed put rates at zero during the recession to stimulate the economy. The economy is no longer in a state of emergency and many economists argue that interest rates shouldn't be at emergency levels anymore either. The long rate hike debate may finally end in December.